"Children's children are a crown to the aged ..." (Prov. 17:6) Here are resources to reflect on and celebrate this wonderful season of life as grandparents. 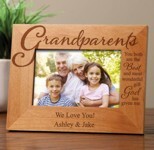 Click on a tab below to view a list of resources related to grandparenting and Grandparents Day. In addition to grandchildren's love and words of appreciation, sometimes a gift like the following can also show honor to grandparents. May God build up godly grandparents who have an eternal impact in their grandchildren's lives. 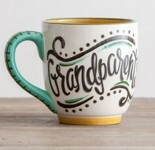 Use these Grandparent's Day ministry resources to honor grandparents but remember to encourage them in this important role throughout the year.